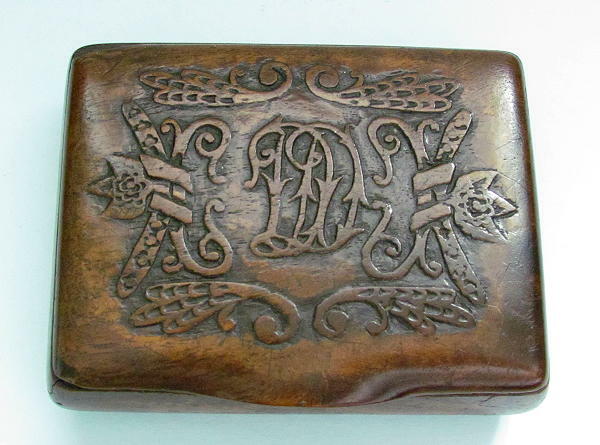 Wooden snuff box dating to mid 19th century. It has a design on the lid surrounding a monogram. Measures 4″ x 3″ and is in excellent condition.